Automation (ICRA, May 29 to June 3, 2017 at Singapore). examples in ROS software, omnidirectional base, competitive price and high speed. effector, including 2/3 finger servo-grippers and range of cameras and sensors. the completely configured MoveIt! Packages. 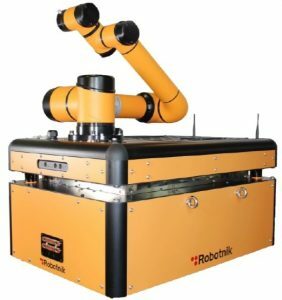 Smokie Robotics manufactures light-weight collaborative robot.